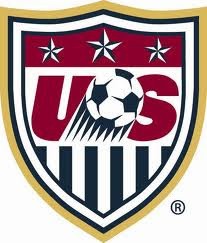 Next up for the USMNT is Honduras on Oct. 8th in Florida and there is a still yet to be determined opponent for the international open date on October 11th. That same day, Brazil plays Mexico at Azteca (so that's going to be a great game if we don't get anything lined up). And Maurice Edu gets another seemingly legit goal called back. Sure, there were three guys offsides, but none of them played the ball. Edu came from the back and was onside. A good goal all the way, consider the result a 1-1 draw.